Earlier this week the government’s auto industry task force slashed Chrysler’s proposed marketing budget in half. As the company is under a dark cloud of a very public bankruptcy, the government is definitely making it difficult for Chrysler to stay present in consumer’s minds and worse all the negative press is making Chrysler an even less attractive decision for shoppers. This all leaves one to ponder if the Chrysler customer is down to one type of customer – the bargain shopper. As Business Week reported, "customers are coming into the showroom making outrageously low offers for Chrysler vehicles, expecting them to take any price just to sell a car." The bargain shopper wants a deal and not just any deal, but a huge deal. Giving them $6,000 off a $30,000 plus vehicle isn’t what they expect. They want more, like 50% off. They’re the same type of shopper who is out there looking to buy a foreclosed house at half-off or more. And Chrysler is the automotive industry’s example of a distressed sale. Much like real estate’s demise, consumers are waiting to show up and get a bargain. And if the bargain isn’t good enough, they’ll wait it out. They’re not stupid. With today’s announcement of Chrysler eliminating over 700 dealerships nationwide, the inventory situation gets worse for a company in the droves of restructuring. So, not only are consumers questioning the viability of the company. Now prospective shoppers know the market is about to get flooded with more supply as dealerships consolidate and inventory piles up with fewer retail outlets to move product. Meanwhile, Chrysler is trying to rebuild its reputation with their new brand campaign: We Build. 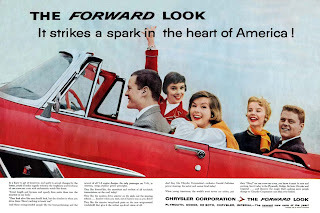 In the TV spots, Chrysler promotes how it is building a new car company that they are building for us. Of course, I can hear the criticism of the anti-bailout crowd – you mean we are rebuilding your company for your executives and unions. One hopes with Chrysler’s reduced ad budget that they can sway public opinion in their favor as the campaign promotes upcoming electric vehicles and strengthens the brand’s identity of building rugged off-road products, like Jeeps and Ram trucks, that customers have come to love. But it will be a struggle to sway public opinion with a limited marketing campaign budget. Also the recent marketing mistake they made when they ran a full-page ads in major newspapers thanking America for their first bailout last year doesn’t help either. Many will feel any advertising is money wasted where “their money” is being used to sell them. That’s the problem with very public government bailouts and meddling government task forces, people don’t like throwing good money after bad and for a lot of America, Chrysler is a weak company with weak products. They don’t show up on Consumer Reports recommendation lists, they rank low on JD Power Quality studies, and, the worse part, everyone knows they are in this position because they make inferior products in a very competitive automotive industry. Fair or not, Chrysler has a very hard road to travel and it will be interesting to see how the new “We Build” campaign is received. I have my doubts it will be received well; though, I’m sure some focus groups will think the ad campaign improves brand perception. adopting such techniques is benefiting it in a longer term.